The American classic about a young girl’s coming-of-age at the turn of the century. This P.S. edition features an extra 16 pages of insights into the book, including author interviews, recommended reading, and more. From the moment she entered the world, Francie needed to be made of stern stuff, for the often harsh life of Williamsburg demanded fortitude, precocity, and strength of spirit. Often scorned by neighbors for her family’s erratic and eccentric behavior—such as her father Johnny’s taste for alcohol and Aunt Sissy’s habit of marrying serially without the formality of divorce—no one, least of all Francie, could say that the Nolans’ life lacked drama. By turns overwhelming, sublime, heartbreaking, and uplifting, the Nolans’ daily experiences are tenderly threaded with family connectedness and raw with honesty. Betty Smith has, in the pages of A Tree Grows in Brooklyn, captured the joys of humble Williamsburg life-from “junk day” on Saturdays, when the children of Francie’s neighborhood traded their weekly take for pennies, to the special excitement of holidays, bringing cause for celebration and revelry. Betty Smith has artfully caught this sense of exciting life in a novel of childhood, replete with incredibly rich moments of universal experiences—a truly remarkable achievement for any writer. 1. 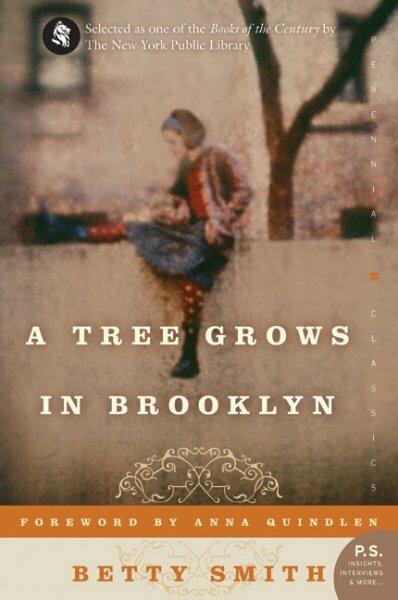 In a particularly revealing chapter of A Tree Grows in Brooklyn, Francie’s teacher dismisses her essays about everyday life among the poor as “sordid,” and, indeed, many of the novel’s characters seem to harbor a sense of shame about their poverty. But they also display a remarkable self-reliance (Katie, for example, says she would kill herself and her children before accepting charity). How and why have our society’s perceptions of poverty changed—for better or worse—during the last one hundred years? 3. Francie observes more than once that women seem to hate other women (“they stuck together for only one thing: to trample on some other woman”), while men, even if they hate each other, stick together against the world. Is this an accurate appraisal of the way things are in the novel? 4. The women in the Nolan/Rommely clan exhibit most of the strength and, whenever humanly possible, control the family’s destiny. In what ways does Francie continue this legacy? 5. What might Francie’s obsession with order—from systematically reading the books in the library from A through Z, to trying every flavor ice cream soda—in turn say about her circumstances and her dreams? 6. Although it is written in the third person, there can be little argument that the narrative is largely from Francie’s point of view. How would the book differ if it was told from Neeley’s perspective?